There are plenty of media stories in China this week to pique one’s interest. Notably, we have some concrete numbers — and astonishing ones at that — for the vast internal censorship teams being put together by major internet businesses in China to accommodate the control demands of the Party; we have the first casualties of China’s new law against defaming heroes and martyrs, which took effect on May 1; and we have the return to form of a once prominent Chinese investigative reporter, Gao Qinrong (shown above), who was jailed for eight years more than a decade ago for exposing corruption in his native Shanxi province — and who has now brought down another official on his home turf. On May 23, the science and technology related we-media (自媒体) site “Chaping” (差评) announced that it had secured a 30 million yuan investment, with investment the Tencent’s TOPIC Fund topping the list. But on May 28, after Chaping faced a storm of criticism from other we-media operators over alleged copyright violations (essentially, taking other’s content and rebranding it as their own), the company announced that it had decided unilaterally to return Tencent’s investment. Zhang Jun (张军), Tencent’s top public relations executive, and CEO Ma Huateng (马化腾), both admitted over social media that the TOPIC Fund had gone ahead with the investment before conducting an adequate review. On May 25, Pan Yu (潘宇), the director of media cooperation at Jinri Toutiao, revealed that in order to protect the “security” of the platform, Jinri Toutiao had built an enormous team allowing it to conduct content review on a 24×7 basis, “in order to create a positive energy climate conducive to socialist core values.” Pan also revealed that the platform had also created a team of expert advisors to enhance content supervision. On May 16th and 17th, after the we-media account “Rage Comics” (暴走漫画) posted short videos that were deemed to insult the spirit and deeds of Communist heroes and martyrs in violation of a related law that took effect on May 1, Jinri Toutiao shut down offending accounts. Weibo, meanwhile shut down 16 accounts identified as serious violators, including @BaozouManhua (@暴走漫画), @BaozouDaShijian (@暴走大事件), @HuangJiguangZagang (@黄继光砸缸) and @DongCunruiInTheOffice (@办公室的董存瑞), while deleting a further 39 account aliases. Youku, the iQiyi (爱奇艺) online video platform, and the Zhihu question-and-answer website all removed content related to “Rage Comics” and put blocks into effect. On May 23, two days before the official day commemorating Communist hero Dong Cunrui (董存瑞), a People’s Liberation Army soldier said to have blown himself up during China’s civil war in order to destroy a Kuomingtang fortification, Ren Jian (任剑), one of the creators of “Rage Comics” paid a visit to the Dong Cunrui Martyr’s Memorial Park, laying flowers on the memorial and offering a public apology. According to a recently released report on salaries in the media industry for 2016, salaries for top media management positions in China generally fall between 400,000 yuan and 840,000 yuan per year, or around 62,000-130,000 US dollars. These numbers represent only a slight increase from previously recorded figures for 2015. Delays in reporting these salary figures in China of course mean that in some cases top managers of media companies have already moved on to new positions. Top salaries at listed film and television companies generally topped out at around 1.17 million yuan per year, but salaries at 50 percent of listed media companies were actually lower than 600,000, meaning monthly salaries of around 50,000 yuan. 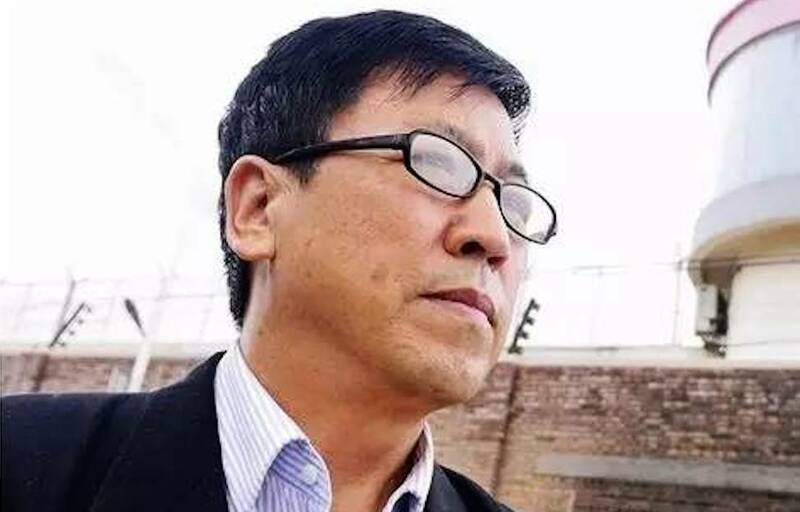 On May 24, journalist Gao Qinrong (高勤荣), a native of Shanxi province, posted a report called “A Vulgar-Mouthed Disciplinary Inspection Official” (一个满嘴脏话的纪检委书记) on his WeChat public account, alleging that Cheng Wanying (程晚英), head of the Cadre Supervision Office (干部监察室) of the discipline inspection authority in Changzhi City (长治市), coordinated with the city’s top anti-corruption official, Ma Biao (马彪), to organize a campaign of intimidation against a local real estate developer, Chen Zhaoping (陈兆平), after Chen refused to pay a bribe to Cheng. At the end of his report, Gao Qinrong provided an audio recording of Ma Biao, the anti-corruption official, in which he cursed profusely. A few days after Gao’s report, Ma Biao was, according to sources, removed from his position in Shanxi for “ineffectively dealing with online opinion” (网络舆情处置不力). Gao Qinrong has a long and painful personal history of exposing corruption in China. In 1998, he exposed an irrigation project in Shanxi province that was a scam, and for that work he was imprisoned for eight years. In 2007, Gao was awarded an International Press Freedom Award from the Committee to Protect Journalists.